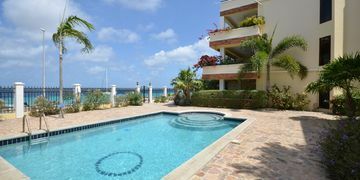 Located at first floor at Playa Lechi Residence, this two bedroom condo offers spectacular views on pool, garden with gazebo and the Caribbean Sea. 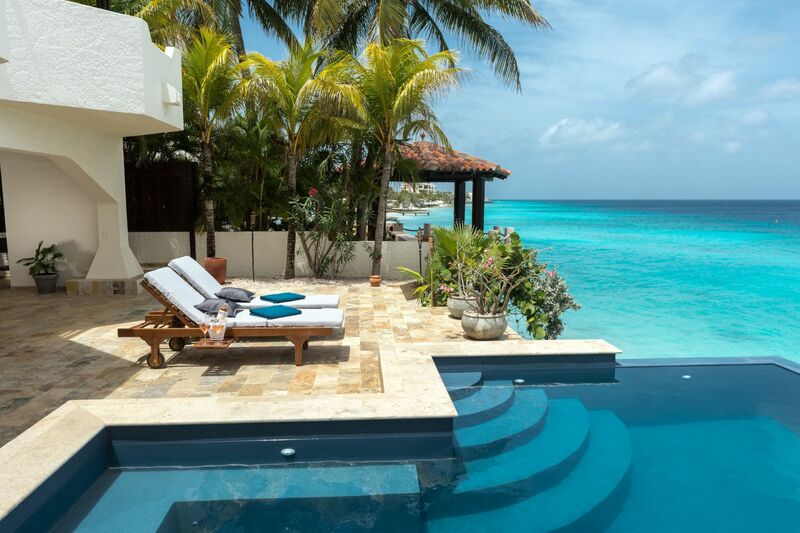 From the private covered terrace, you step into the pool in a breeze (without having to use stairs/elevator) or simple watch the (fishermen) boats pass by. Stroll along the pittoresque seafront boulevard to down-town Kralendijk, moor your sailboat almost at your doorstep: it is all possible at Playa Lechi Residence #4. Perfect for permanent living and great for rental purposes. 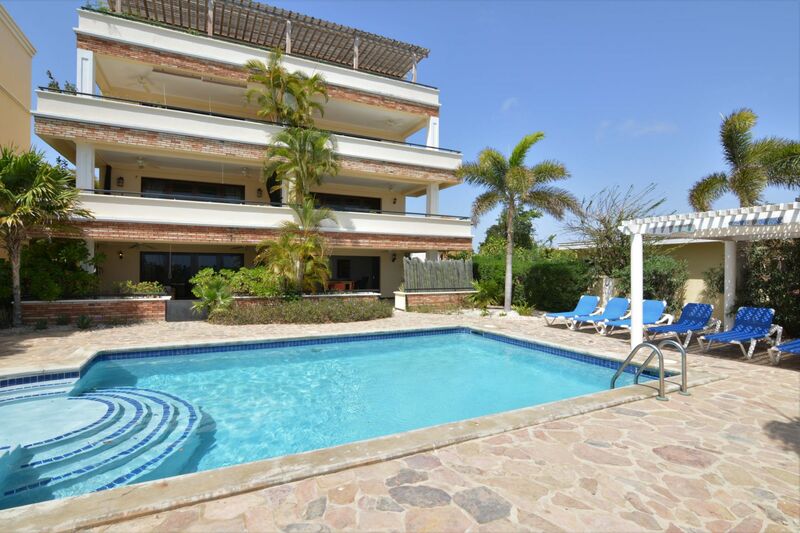 Playa Lechi Residence offers on site parking (accessible using electric drive-in gate) and is pleasantly fenced. Fully landscaped tropical communual garden. Entrance to hallway leading to two bedrooms with plenty of closet space and en suite bathrooms. One bathroom is also accessible from the hallway. 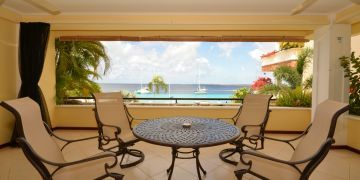 Laundry, fully equipped open kitchen and wide living room with sliding doors leading to extended covered terrace with the views across the pool over the bay. Includes storage unit and ample parking is available. Ground tax (annually): 0.345% of the value (1st residence), or Property tax (annually): 0.805% of the value (2nd residence). Buyers Costs consist of (one-off): 5% transfer tax, approx. 2% notary costs and approx. 0.5% land registration costs (Kadaster).